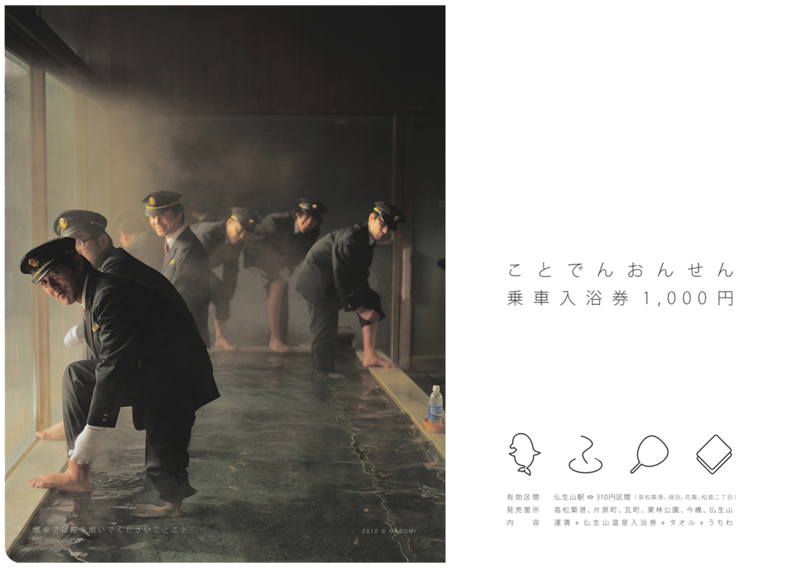 "KOTODENONSEN POCARISWEAT" AD is high popularity. So I took charge of the direction and the design of "KOTODENONSEN -2nd season-" AD. 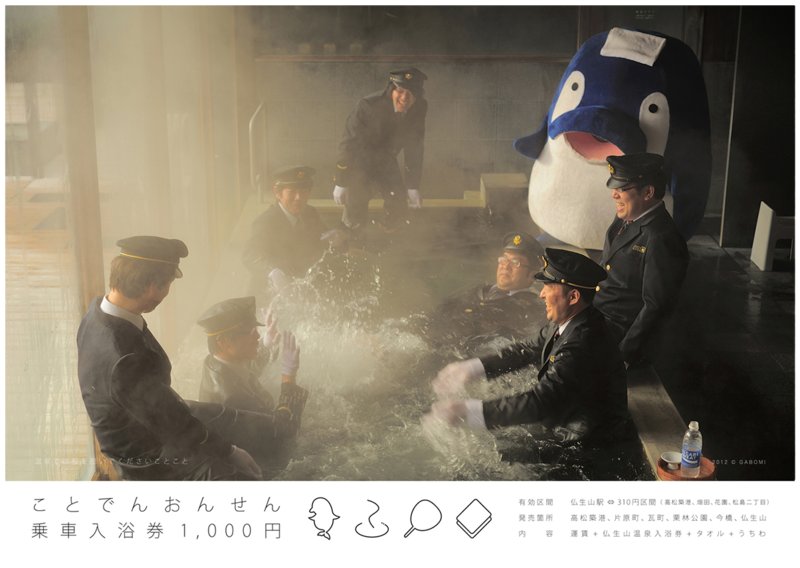 This advertisement is expressing the wonderful world where the train and the hot spring interchanged. 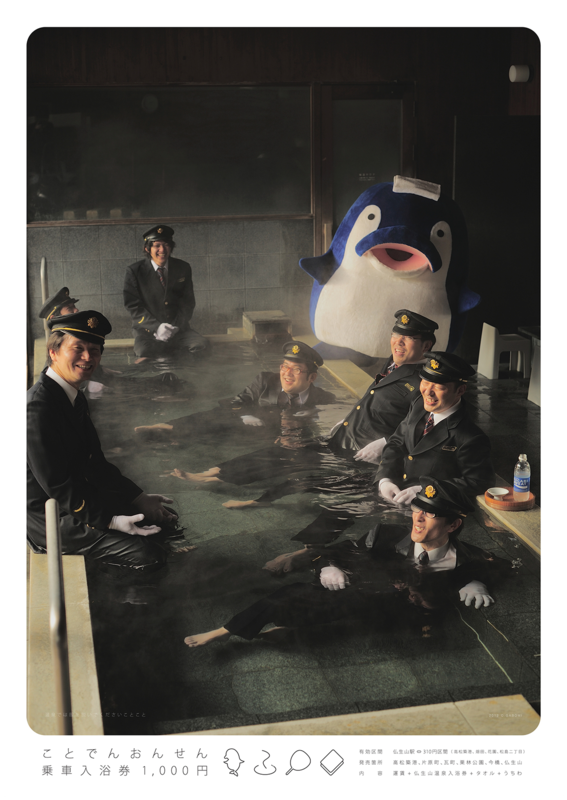 The train and the hot spring fused to one comfortable place. And we are enjoying an image. A ticket gate is an entrance of a bath. "Bamboo fans" is the train and the hot spring tickets. 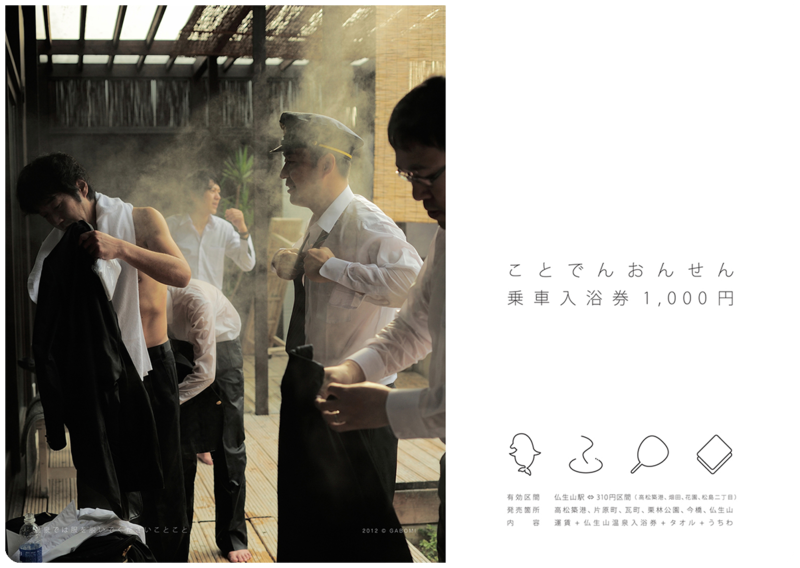 Fee 1000yen include, train ticket + onsen tickets + towel + bamboo fan. The station which sells the ticket, Takamatsu harbor, Kataharamachi, Kawaramachi, Ritsurin Park, Imabashi, Busshozan. 2012 JAPANESE GRAFFITI series "1DAY ARTIST-IN-RESIDENCE"